Expense IQ Money Manager : Expense IQ (formerly EasyMoney) is your ultimate money manager app that combines an expense tracker, a budget planner, a checkbook register, integrated bills reminder and more rolled into one powerful personal finance app! The only money manager that grows with you! 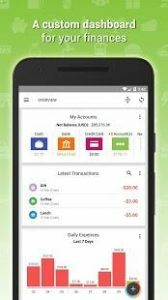 Android Police: If you’re looking for a good financial tool, Expense IQ should definitely be on your list of apps to check out. hvg.hu: Got your salary? Track with a great expense app! Know where EVERY cent of your money goes. Track your daily expenses quickly and easily! Takes only seconds to enter your personal or business expenses. Repeating transactions: save the hassle of entering your bills every time! The more you use, the more convenient and quicker it gets! Smart predictive engine helps fill in transaction details so you can add records in just 2 taps! 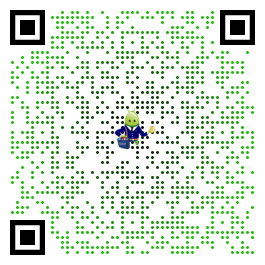 Attach photos/images to each transaction! Spend less, save more by keeping to your budgets easily. Set monthly budgets to accounts categories and check at one glance from the color-coded health bars. Get warnings when you overspend/exceed your budget! Remember to pay all your bills with reminders. Optionally, take a photo of your bills/invoices to keep records. Budget Planner with smart color-coded Budget Health indicators at a glance! 30+ languages and 150+ currencies! Great app have been using it for years now. only problem I’ve been having is that I haven’t been able to download it to my laptop, have tried on numerous occasions. The website says that the app will work across many devices and can link the information. Kindly please set time duration for Budget, so that I can set my budgets Monthly, Quarter Half or Annually.. i found out not all my budgets are monthly basis.. pls take this under serious consideration.. Thanks. Thanks for highlighting that Yuvanendran! We have noted this for a future update. Love this app. From time to time I’ve tried others but this one has still the best features. Would like to see an enhancement or two:. Ability to print from the register, and the ability to select a date range on reports.